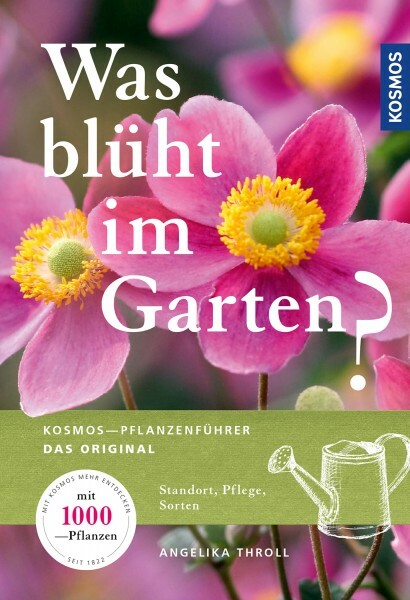 Product information "Was blüht im Garten?" The successful classic describes more than 1,000 garden plants in words and images – from sunflowers to herbs and bushes, from their look to their care. It helps you select beautiful, speciality and easy-to-care-for plants, and is simply unrivalled as a source of ideas, a garden guide and shopping aid. Landscape architect Angelika Throll wrote this comprehensive handbook of garden plants together with six well-known gardening experts. Horticulturist Angelika Throll is the author and publisher of many successful books about plants and gardening. Medicinal plants and their uses are one of her special concerns.